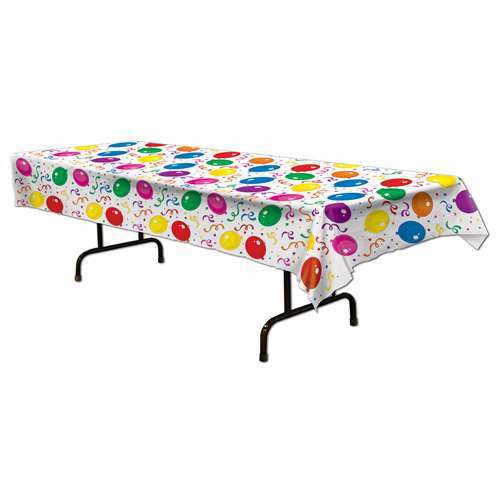 Complete the finishing touches to your birthday party with this must have table cover featuring bright and colorful balloons and confetti surrounding the entire table. Coordinate with any of our wide section of birthday patterns for a winning combination. Makes clean up quick and easy too so you can spend more time enjoying the party! 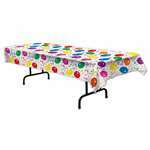 Each Package Includes one Balloons and Confetti Table Cover (54 in x 108 in) made out of a plastic material.